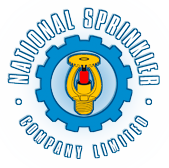 National Sprinkler Company is an LPS 1048 approved sprinkler contractor. Our level 3 approval & LPS 1048 Certificate of Conformity authorises us to design, install, service and maintain sprinkler systems for all categories of work in full compliance with the Loss Prevention Council Rules, in addition to those systems designed using NFPA & FM Standards. With a registered head office in Balbriggan, Co. Dublin, Ireland - National Sprinkler are perfectly positioned to offer fire protection services throughout Ireland. With talented employees and extensive resources, we believe we can provide unmatched fire protection services nationwide. At National Sprinkler we can successfully assist with all aspects of your fire protection needs, from initial consultation, through to design, fabrication, installation, testing, maintenance, service and inspections. With a wealth of experience in the fire protection industry and a genuine dedication to customer service, National Sprinkler Company truly have emerged as a trusted source for fire protection services.